Posted on 09 March 2014. Chateau Manzanita Winery-Vin De Manies-Cabernet Sauvignon-Reserve-Napa Valley-California-2006-14.5% Alcohol-$21.53-A nose of dark fruits and spice, dark garnet in color. A medium to full bodied Cab, with blackberry, currants and cassis, dark chocolate, layers of flavor with a spice finish. You must decant this wine for a couple hours for it to show it’s true colors, even better than last time tried, truly a great find. NR CR-94 Good with steak, chicken, pasta. 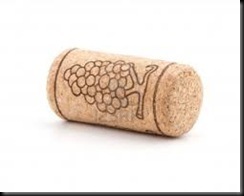 Two Corks Bonus. Cramer Ranch Winery-Castlebank-Cabernet Sauvignon-Vivian’s Vineyard-Dry Creek Valley-Sonoma County-California-2011-13.7% Alcohol-$13.99-A nose of dark fruit and spice, dark garnet in color. A medium to full bodied single vineyard Cab, with black cherry, blackberry, chocolate, an easy drinker, a good QPR. NR CR-87 Good with meats, chicken, pasta.